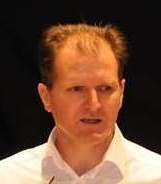 Martin Stepek is CEO at the Scottish Family Business Association. So who better to explain the complexities of being part of a family business. I met with Martin and asked a number of questions. What are the unique challenges that you feel face family businesses compared to other businesses? The key challenges unique to family businesses centre around a single major factor; the clash of culture and values between a family as a group and a business as a group. A normal loving family has core values of equality, love, forgiveness, slow change, being together; a business culture is one of hierarchy or power, doing deals and achieving sales, intolerance of failure, error or inefficiency, rapid change, and focus on doing. When these two cultures clash there is inherent conflict. This conflict can arise within an individual at a mental-heart level – conflicted as to do what s/he feels is right for the family or for the business – or between family members; one member may see an issue from the family values position where another sees it from a business cultural perspective. Can you give examples which can serve to make this clearer? Say a family has an unmotivated and unpleasant young man of twenty as one of the younger generation. He has two siblings, both older, both brighter, both more enthusiastic about work and they both work in the business. The young man is unemployed and his parents want to give him a job in the business to try to help him out of his destructive and apathetic mindsets. Clearly what is right for the family immediately doesn’t feel right for the business. 1. She has reinvested all the profits into the business to the detriment of her financial planning of her retirement, so to have a decent living post-retirement she must either take a large sum out of the business for her pension; or she must keep taking a wage from the business after she stops working there. 2. Her self-image, status in the community, friends, and lifelong habits of work are all centred round her position and work in the business. Now she is planning to leave all of this; it is so much more than just leaving a job; it is reinventing an image, a life, a community existence. In the first issue if Mum takes out what she needs for her old age this may put the business in debt or reduce its cash availability to maintain or expand its operations. The next generation, as owners and managers, may be planning to use that money for business purposes. On the other hand if Mum decides to keep taking a living wage from the business but leaves her CEO role, then her successor as CEO has an extra unneeded and unproductive salary to pay, which is not in the business’s interests. In the second issue it will be very difficult for Mum to genuinely leave the business if all her status, identity, friends, interests are dependent on her position there, unless she plans a new life in advance, which few do. The danger is that she “retires” then continues to come into the business on a daily basis and “advises” the next generation of leaders, undermining their autonomy to make their own decisions, including their own mistakes. And as she is their mother, it is very hard to challenge her interference because of lifelong love and deference to her wishes. Note that neither of the two examples above is even primarily about business issues or direction. They are about the life choices and characteristics of individuals within the owning family. Are the challenges the same in large and small businesses ? The issues are the same in any family business, but there are differences, the most obvious one is financial. The amount at stake is much larger in a big business so there can be a heightening of aspects of greed and power struggle. Large businesses can often afford to pay for high quality family business education, training, advice and consultancy though by no means do all take advantage of this. Larger family businesses also have the advantage of having to employ professional non-family managers or directors, possibly even non-executive directors. These can bring in clarity about benchmarked salaries – something notoriously missing in family-dominated family businesses – and also put a certain pressure on the family to treat working family members as employees within the business rather than family members who have innate rights and perks. Is succession generally through the male family members or has this changed in recent years? Primogeniture (eldest son succeeds) was the norm for centuries, if not millennia, going back to early farming settlements at the dawn of recorded history. And this was still the case up until fairly recently. I think the mindset still persists but there are two or three aspects which colour the general view that male succession is the norm. Firstly, with much smaller families than in past generations, there is a much higher chance that the family in fact have no male heirs apparent. There is a fifty-fifty chance of a single child being female, and a one in four chance of a two-children family having two female children. As these are the most common numbers of children born to people in the west this reduces the chances of male succession dramatically compared to past generations. Secondly, because of increasing entrepreneurial start-ups in the recent past and present generation of women, a more enlightened view of who in the next generation should succeed is certainly emerging. Thirdly, the present younger generation are the most highly educated in human history, in a culture where gender equality is regularly explored (if not always evident into practice). So both young women themselves, and one would hope, their male siblings and cousins would not instinctively accept a male succession as default option. Finally, and very importantly in family businesses, it is important to remember there are in fact two successions in a family business. One is leadership – the MD or CEO role – and this is what most people mean when they talk of “succession”. But as important, or even more important, is the succession of ownership, and whilst it is still rare though not unheard-of for joint CEOs to run a business it is very common for ownership to be shared amongst many people, usually spouses or siblings or cousins, depending on the generation in question. So female ownership levels may be higher now than in the past as it is easier to treat your children equally in passing down shares than in choosing the next leader of the business. Are there specific challenges facing women working in family businesses There are both challenges and benefits for women from a family-owning business working in that business. Are there specific challenges facing women working in family business? There are both challenges and benefits for women from a family-owning business working in that business. The key challenges are not directly gender-related in the business sense, but rather it is in the family dimension that challenges arise. If a woman – whether viewed in the family as mother, sister, daughter, cousin, in-law – is perceived by family members in a biased way, this bias is brought directly into the business by those family members who perceive the woman in that way. This can be an advantage. If a woman is perceived by family members to be a leader in the home as the family grew up then they will take that view into the business. But the same is true if a woman is viewed as not having high qualities in the family home. The key benefits that come for women working in their family business is that there is explicit understanding and sympathy for a female family member who has to try to balance the challenges of pregnancy, the early months and years of motherhood, and related work-life balance issues. Family businesses, whilst often expecting more input and effort than from family employees than non-family employees at work, do show real flexibility and understanding when family or home matters have to take priority. I think that this article sums up many of the complexities of family businesses and makes you appreciate those who thrive and prosper, all the more. Great article Martin. Do you think that women face an additional challenge – that of marriage? Do male “non-family” members have a stronger influence on the family business when they “marry into the family” than the other way around?